Adelle Nampeyo is known for her stylistic use of traditional Hopi designs. 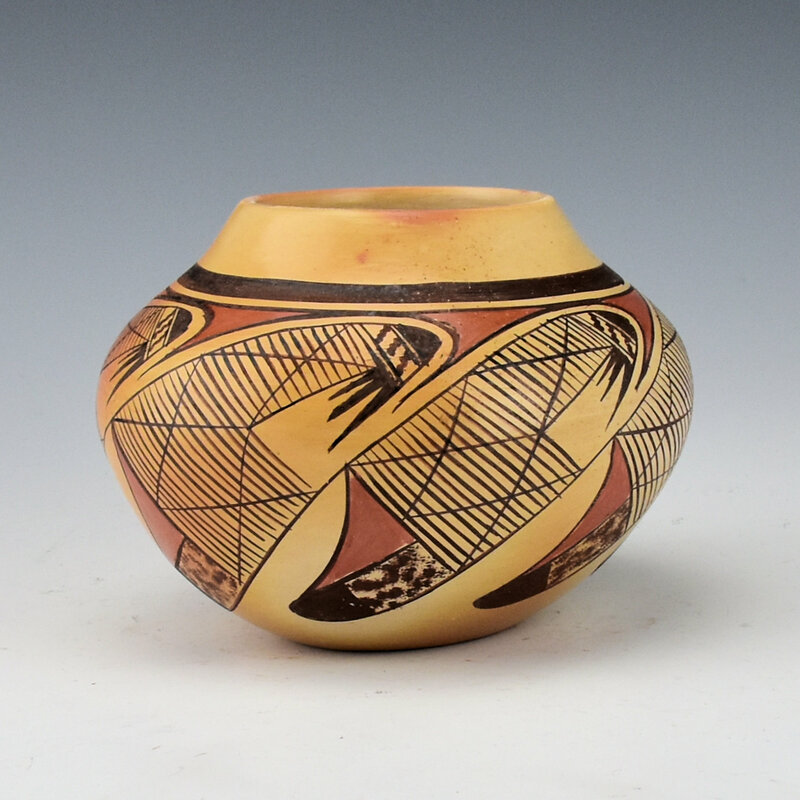 This jar has a migration pattern encircling the shoulder of the piece. Note how she has used the lines for the migration pattern above the shoulder and the bird wings below. The design is painted with bee-weed (black) and a red clay. 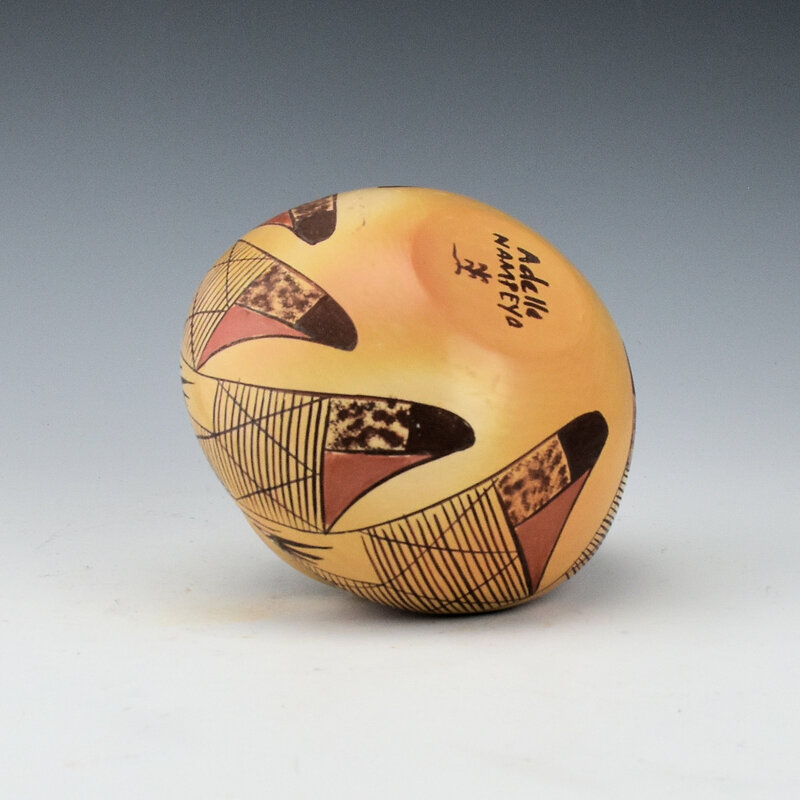 The migration design is a classic Hopi-Tewa pattern revived by Nampeyo of Hano and tells the story of the migration of the people around the world. 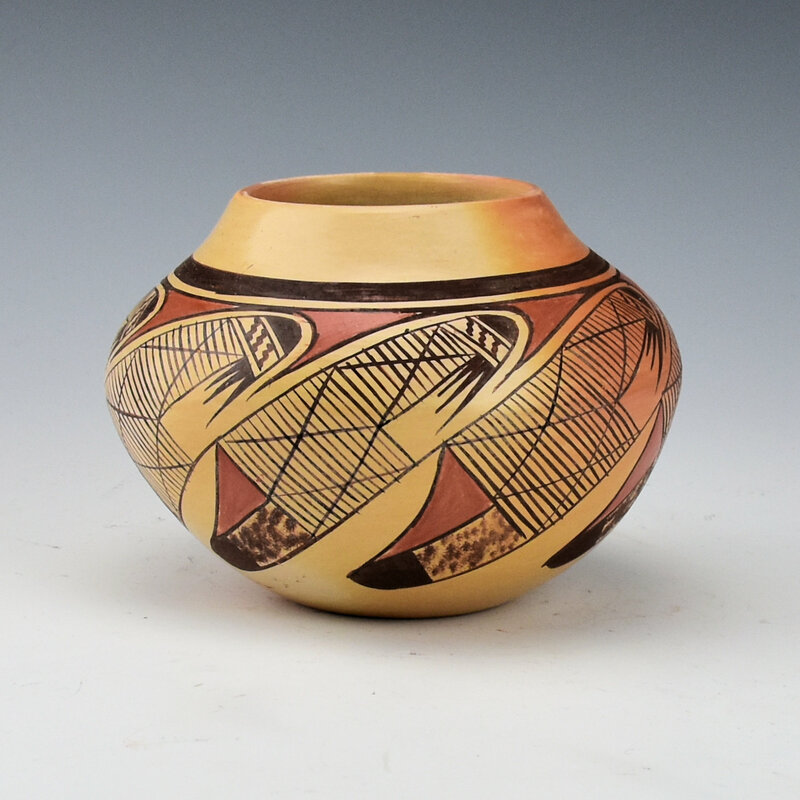 The jar is traditionally fired to create the coloration on the surface of the jar. 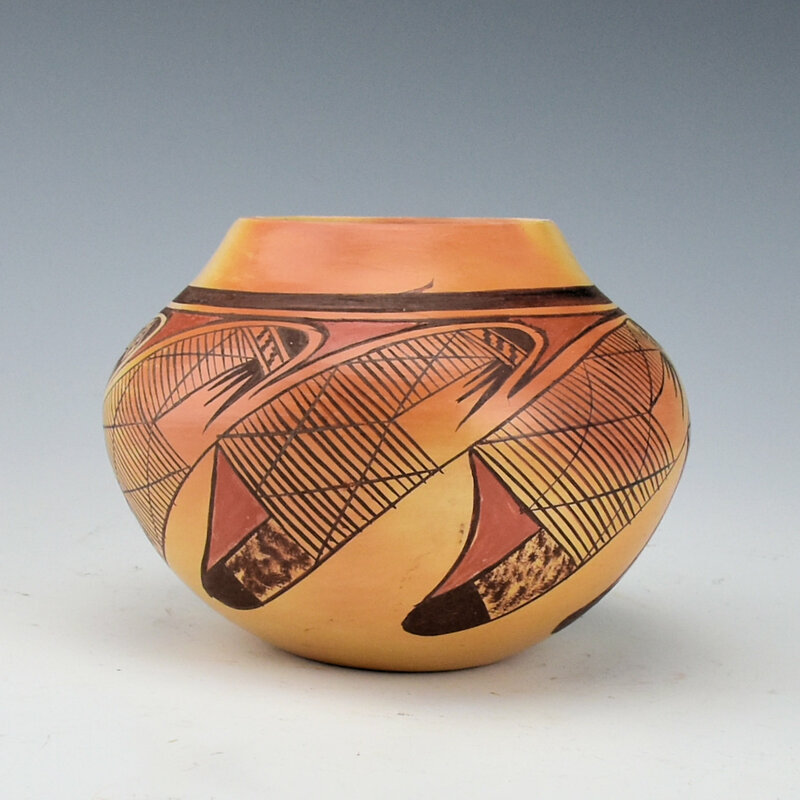 The coloration works beautifully with this piece with shades from white to orange. It is signed on the bottom.